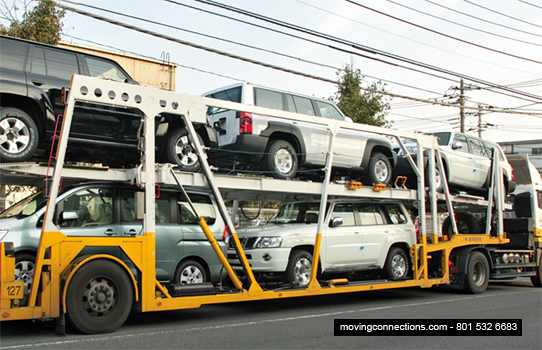 Moving Connections is a licensed car shipping company based in Salt Lake City, Utah. We are a top rated auto transport company shipping vehicles nationwide. We offer fast, efficient auto transport services all over the Continental U.S. and Canada. We'll pick up your car right at your door, load it onto one of our sturdy trucks, then drop it off at your destination a few days later. Even if your car needs to be transported across the country, we can usually get it there in about a week! When you trust your auto to a shipping company, you want to know they have the experience to handle your vehicle the right way. Our network of drivers have millions of miles and thousands of hours on Utah and America's highways. We have the experience to get your vehicle to its destination quickly, safely and for less. You and your vehicle will receive the individual attention you want and deserve. No matter what type of vehicle you have or where it's headed, our auto transport services are stress-free and convenient. We even have a 24/7 customer service line, so that you can check on your car and ask questions anytime of the day and night!